We develop and produce eco-friendly filaments using industrial wastes and natural ingredients that are hard to recycle or easily discarded, such as used coffee grounds and rice bran, unlike the ordinary PLA. 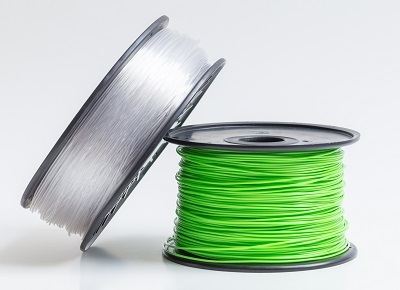 Eco-friendly Hybrid Filament combined strength of PLA, raw materials extracted from corn starch and ordinary ABS plastic. These extruded filaments come in a consistent thickness (1.75mm) and do not generate dioxin when used to print, but only a friendly smell (smell of scorched rice).